Originally recorded by Mal Stanley (of ABC Classic FM’s Jazztrack program) the music was never released by the ABC and was instead taken up by Keiran Stafford’s Birdland label, based in Sydney. He performed and recorded with Melbourne band ‘The Hollow Men’ between 1985 and 1991, as well as becoming more involved in sound engineering and production. His interest in Jazz continued to grow, having listened to the ABC jazz shows such as Jazztrack and Music to Midnight. In 1994 Mal began recording jazz in Melbourne for Jim Mcleod’s Jazztrack on ABC Classic FM and has since gone on to engineer and produce over 350 recordings for Jazztrack, ABC Jazz and other labels. Over 140 CDs have been commercially released from these recordings. New Zealand-born pianist Mike Nock and American saxophonist Dave Liebman first crossed paths in the ‘60s when Nock was living in the US, first coming to attention with the proto-fusion group Fourth Way. They haven’t seen each other in over two decades, last working together on Liebman’s The Opal Heart (Enja, 1982). Recorded live at Australia’s Wangaratta Jazz Festival in the fall (springtime in Aust) of 2004, Duologue has the intimate and unassuming feel of two artists for whom the years melted away the minute they hit the stage. That’s not to say the two don’t challenge each other: they consistently push and prod each other in subtle and sometimes not-so-subtle ways throughout this hour-long performance. Featuring two standards, three pieces by Liebman and one by Nock, none of the originals are new, but here they assume a decidedly new complexion. Liebman’s “Nadir” is a spacious free piece built around a sketchy premise, and demonstrates why Liebman is the preeminent soprano saxophonist of his generation. That he possesses inimitable skill and an arsenal of extended techniques is without question, but Liebman integrates them in a completely musical way that avoids grandstanding multi-phonics abound with, at one point during the nine-minute piece, Liebman holding onto a high note while, remarkably, a first descending and then ascending harmonic shimmers underneath. “Breath” has clearer form despite being similarly elastic. Nock takes Liebman’s lyrical theme to a darkly haunting but equally beautiful place, responding with subtle shadings and an equally thematic approach. It’s not so much a case of delineated solos although, with only two players, it might seem that way. “Breath,” like all the pieces on Duologue, truly reflect the title: a conversation between two old friends who are in no hurry to say what needs to be said. That the six pieces feel so inter-connected is as much a matter of spontaneity as it is design. Still, Placing the classic “On Green Dolphin Street” after Nock’s “Acceptance” is especially striking, with the descending chords of the start of “On Green Dolphin Street”’s theme echoing similar movement in Nock’s tune. 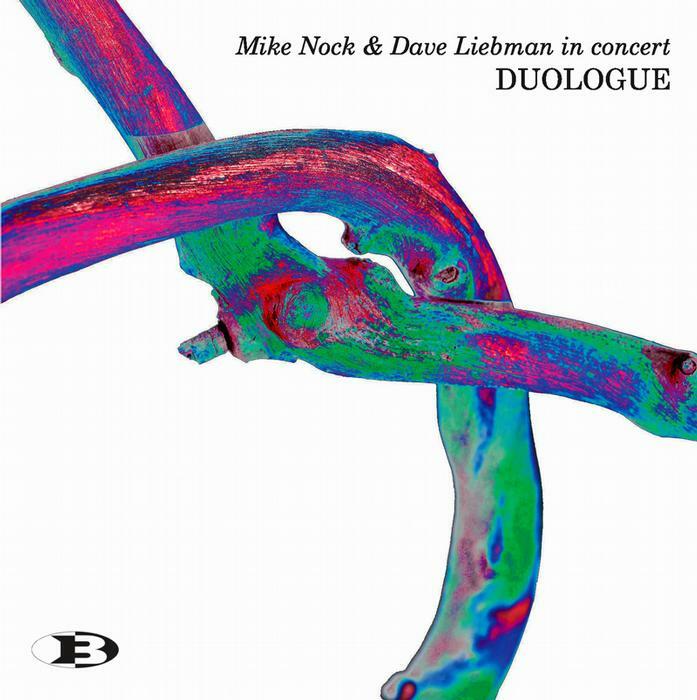 While Liebman is often described as an expressionistic player and Nock is nothing if not impressionistic, the two find plenty of common ground. Liebman is wont to inject flurries of notes with a certain restrained energy in the most unexpected of places, but he’s also capable of profound simplicity. Nock is, quite simply, one of the unsung piano heroes of the past fifty years, all the more so since he returned to Australia in the mid-‘80s. His discography may be small, but it’s influential and he’s been responsible for nurturing what is now a vibrant Australian scene, in particular in Sydney. With nothing more than a brief rehearsal and reminiscence over dinner before this midnight performance, Duologue is that most serendipitous of happenstances, when two friends re-acquaint themselves and discover that time and geography haven’t placed any real distance between them at all.